“H.112 Bill Summary” – This is a summary of the bill as it stands now (4/21/14), outlining the findings, how foods would be labeled, exemptions to the bill, retail liabilities, penalties for non-compliance, the date the bill would go into effect, and the amendment from the Appropriations Committee regarding the special implementation fund. “GMO Bill Top Level Points” - For H.112 to be upheld under the First Amendment the state would need to be able to show that the regulation is reasonably related to a legitimate government interest. This factsheet lists the legitimate government interests adopted in the bill. 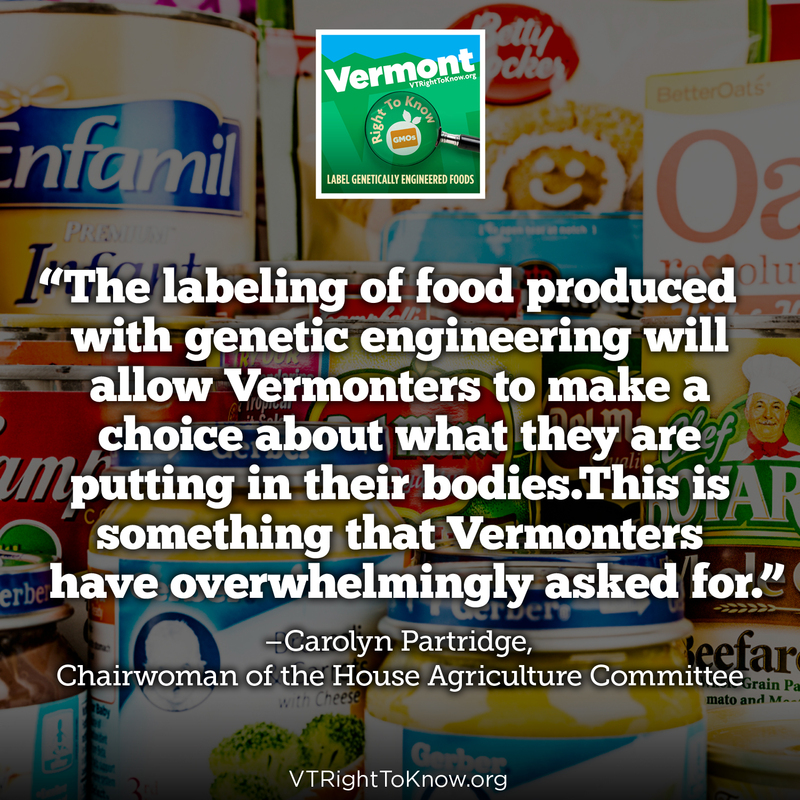 “Legal One-Pager on GE Labeling” – This is a factsheet that provides a basic summary of legal issues and explains why Vermont’s bill should survive any constitutional challenges. “Summary of Supporting Materials” – This document summarizes the reasons that GE labeling is important. It discusses different categories and provides citations to some key studies. 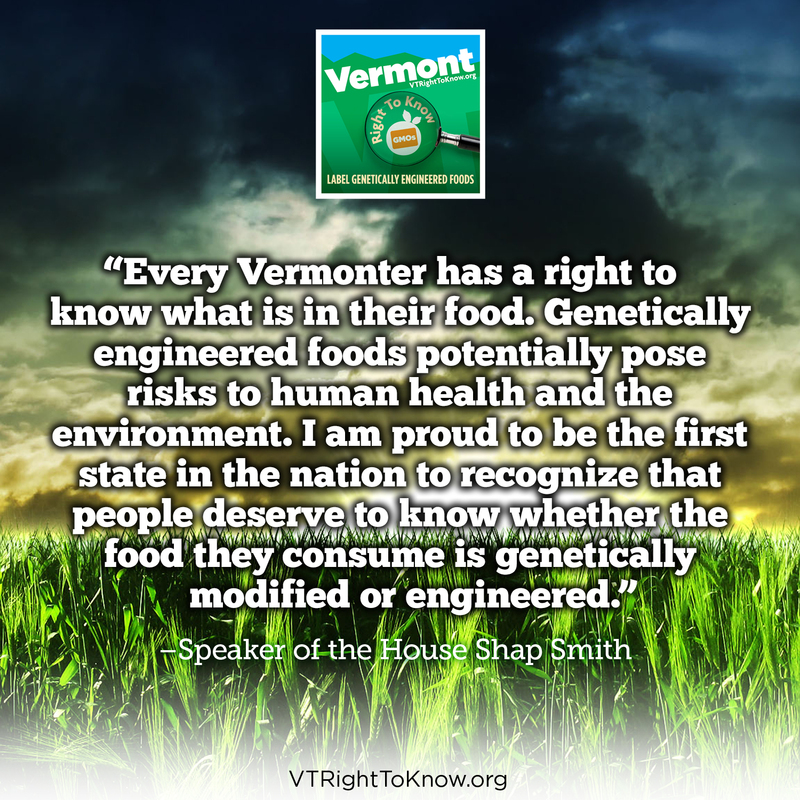 “The Vermont Genetically Engineered Food Labeling Act” – This factsheet contains basic information about what GMOs are, and why we can and should label them in Vermont. It also contains some frequently asked questions about the bill. 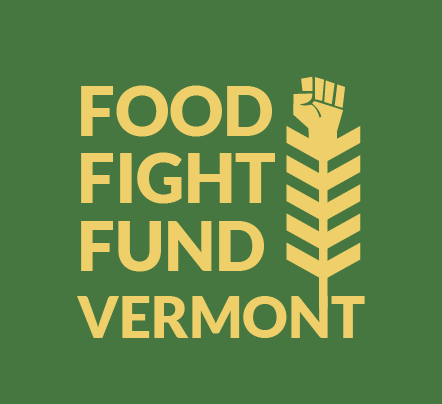 “Take Action for GMO Labeling in Vermont” - This is a factsheet designed to help Vermonters take the next step in taking action to get GMOs labeled in our state. While it’s addressed to Vermonters, anyone might find it useful! “Why GMO Labeling is Different From rBGH Labeling” - This is a factsheet designed to put to rest confusion about the differences between this labeling effort and a similar, but essentially different case from 1996. 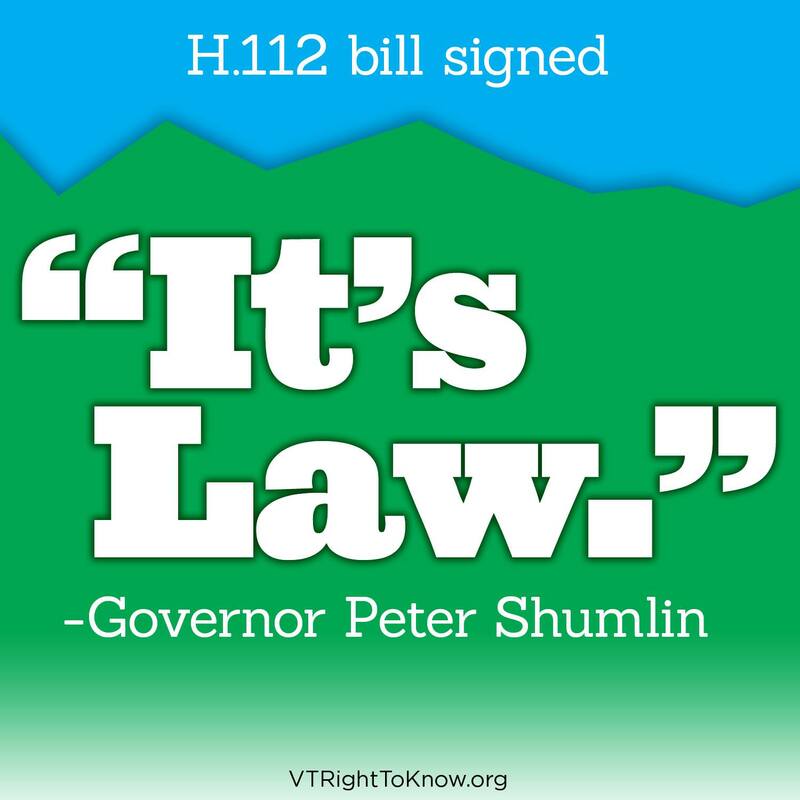 “Important Talking Points on H.112” – This is a factsheet providing some key talking points Vermonters can use when speaking with their legislators.